The holiday season is quickly approaching, which means you might find yourself shopping more than usual. There are sure to be many different seasonal sales for consumers to take advantage of, but crowds and weather can make holiday shopping difficult for seniors. 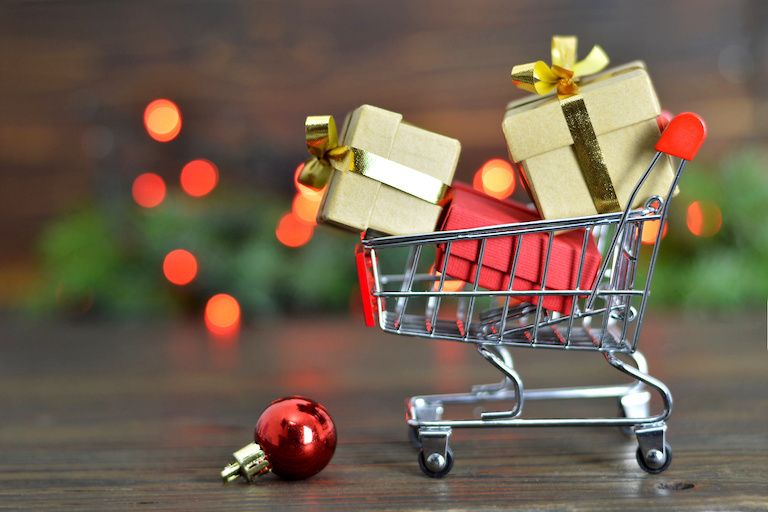 When you’re out searching for the perfect gift for loved ones this holiday season, keep in mind these simple tips to make your shopping a breeze! There is sure to be plenty of hustle and bustle at stores this holiday season, which means that many people will be walking around parking lots. Always lock your vehicle to keep your gifts safe from theft, and consider covering shopping bags with a coat or blanket. Thieves are less likely to break in to vehicles if they can’t see the items you’ve purchased inside. If you can, consider shopping during the day. It starts to get darker much earlier in the winter, which makes it harder to see. And with colder weather comes ice and snow, which could be potentially dangerous when driving or walking to your car. Though it is a good money-saving technique, carrying around large amounts of cash can be dangerous. Pulling out a large wad of cash at the checkout counter lets others know how much money you are carrying and cash can be easily misplaced or dropped when trying to navigate holiday crowds. This season, consider a debit or credit card so that you can check out quickly and safely. Shopping is always better with a friend! Consider asking a buddy to go with you. Not only can you help each other navigate busy malls, you can also watch out for each other and keep each other safe. Skip the big box stores. Avoid stress by online shopping or shopping local. Farmer’s markets, craft fairs, antique stores and local artists can all be great places to find unique handmade gifts for your loved ones, and shopping online allows you to have access to the most popular gifts from the comfort of your own home. However you choose to shop this holiday season, consider these tips to make your shopping stress-free. Be sure to remember that while gifts seem important, it is truly the memories and time spent with family that are the greatest gifts of all!